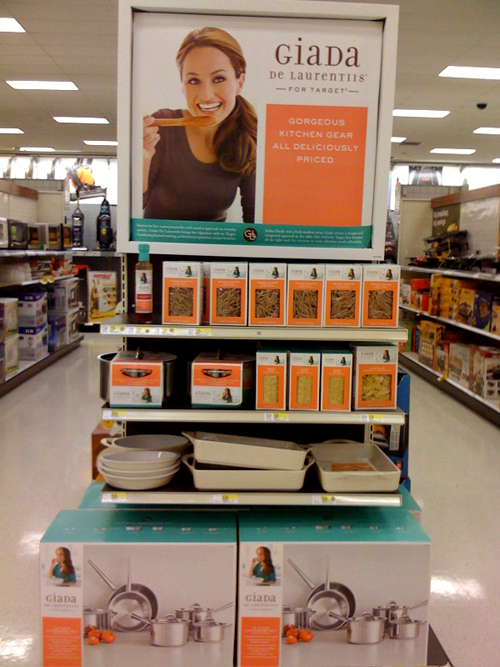 I saw that Giada has a line of kitchen gear and cooking ingredients at Target. I like the colors but I had to say the gear could be cuter... like Nigella's egg shaped items. Has anyone tried the pasta or other food stuff? The food is AMAZING! I had the Farfalle Pasta mixed in with the Giada Parmesan Garlic and Lemon Artichoke Pesto (from Harris Teeter), and it was EXCELLENT! Now my favorite way to eat pasta!